We are grateful for your time going through our website. This site was made so parents can easily buy our amazing products. It is way more fun to enjoy your free time with your family and children. And the Piggyback Rider has been carefully crafted so you can relax and savor your time with your kids. For more information about our product and website, send an email to info@thepiggybackrider.com. We welcome all your questions and concerns so feel free to send us a message. 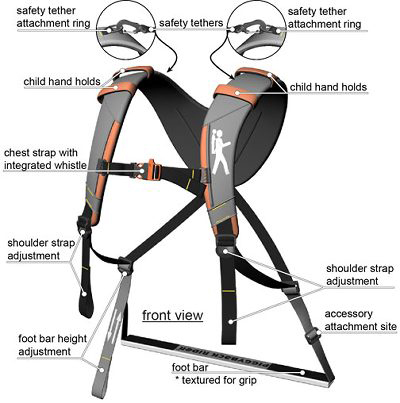 Have you tried the Piggyback Rider and want to give us your comments and inputs? Send an email to feedback@thepiggybackrider.com and we will take time to read all your mails. We aspire to create more awesome stuff, especially for parents like you, and introduce them all to you. We also like to know more of your thoughts on our products and our website so that we can continue to improve our services. Please know that we will respond to your messages in the soonest possible time. Once again, thank you for your time and we hope you did grab your own Piggyback Rider for your little ones!